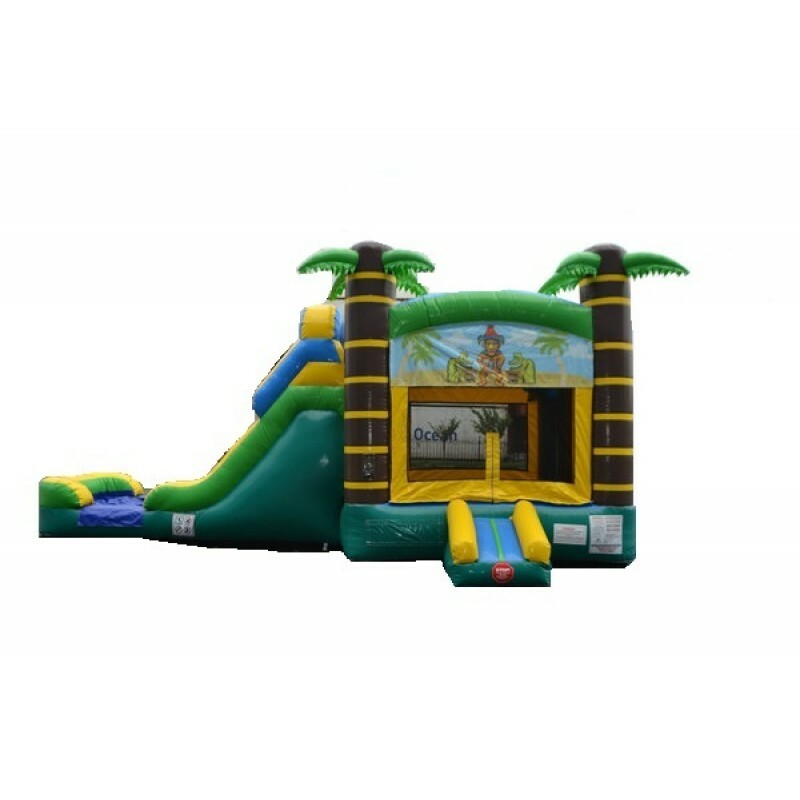 Add a tropical touch to your child’s birthday party with the Tiki Bounce House and Slide Combo! The standard rental time for our bouncy house rentals is four hours, not including the time it takes to set up and tear down the inflatable. The cost of delivery is included in the price, but fees may apply for delivery to some areas. New customer? Like us on Facebook to get a first-time discount! 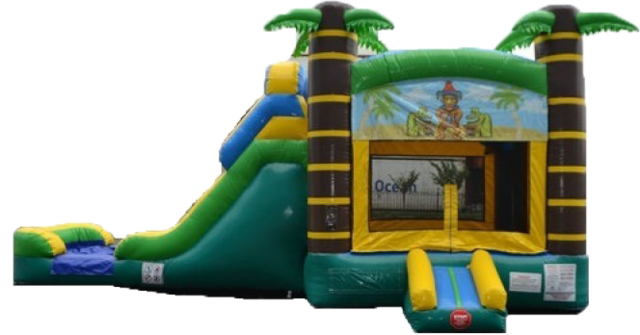 You won't anger the volcano gods when you're bouncing in our Tiki Bounce House Dry Slide Combo. There are two majestic palm trees gracing the front of this combo, giving kids the feeling of entering a Tiki hut in the tropics. Enter the safety enclosed bouncy house and jump, bounce or try to make a basket through the enclosed hoop, then climb the rock wall up to the giant, double-lane slide for endless hours of entertainment and fun.